Although they don’t usually wear capes, the folks at GEFCO could be considered Oklahoma superheroes. GEFCO designs and manufactures portable drilling rigs and related equipment. The company’s facilities include a fully integrated machine shop, fabrication and weld shop, a testing facility, and assembly and painting capabilities. Recently, the Oklahoma Department of Labor and Oklahoma Safety Council presented GEFCO with the Superheroes of Safety Video Award. The contest showcased Oklahoma’s Heroes of Safety and was open to businesses wanting to share their safety programs and success stories. GEFCO’s award-winning three-minute video scans its facility and highlights areas of improvements that were made toward the company’s goal of an accident-free work zone. Last year, GEFCO’s Enid facility went without a recordable injury, setting a company record at 395 consecutive days. GEFCO’s Lean Manufacturing initiative had a lot to do with helping the company achieve its superhero status. According to GEFCO President Aaron Harmon, the continuous improvement tools allowed the company to start identifying waste in every area of operation and reorganize the workshop layout to facilitate a better flow. Several pieces of equipment were added to increase efficiencies and capacity. The lights throughout the facility were updated and old machine centers were remodeled with modern CNC equipment. GEFCO’s Lean initiative also included situational awareness training on Lean concepts and safety training. These efforts have resulted in fewer workplace injuries and accidents. The company focused on analyzing near misses and reducing high-risk activities. As a result, the incident rate decreased from eight-point-six in 2011 to two-point-two at the end of 2013. Recordable injuries decreased from 16 to 7 during this same period. GEFCO is headquartered in Enid and operates a second manufacturing facility in Loudon, Tennessee. The company has been in business for more than 80 years and has more than 200 superhero employees. 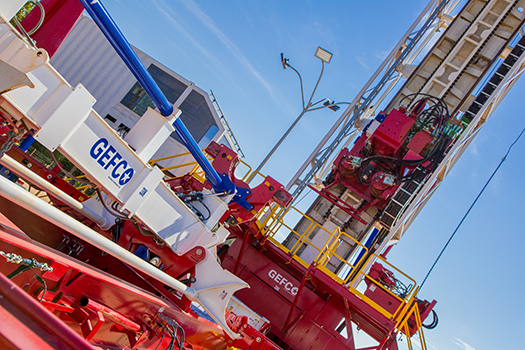 GEFCO designs and manufactures portable drilling rigs and related equipment. The company’s facilities in Enid include a fully integrated machine shop, fabrication and weld shop, a testing facility, and assembly and painting capabilities.